It’s been a busy 48 hours! 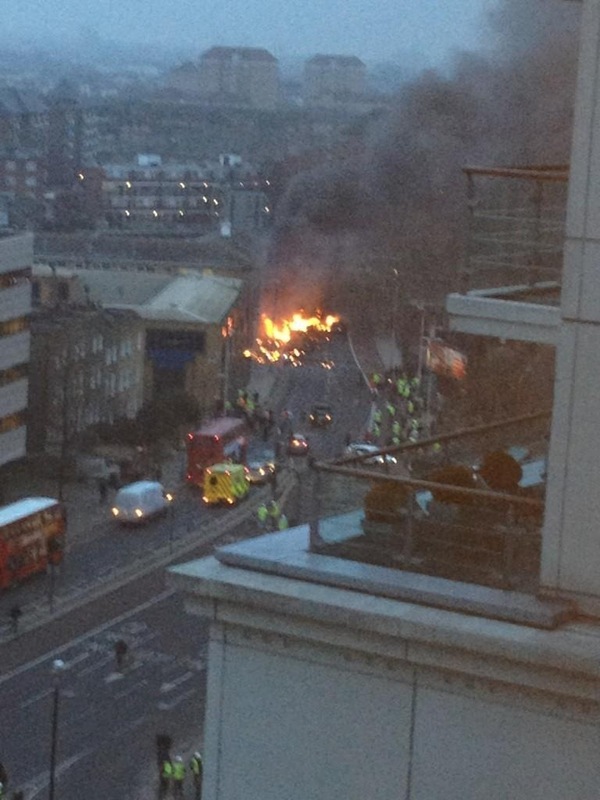 Shortly after 0800 on 16 January I was made aware of an aircraft which had crashed in central London. Fortunately I wasn’t on call, so didn’t have any immediate responsibilities, and therefore decided that I would remain at home to watch the unfolding news. This ensured that rather than getting on the tube, I remained contactable should I have been needed. It quickly became apparent, in the age of social media and citizen journalists (which is a dated term, but I quite like it) that the aircraft in question was a helicopter, which had collided with a crane on a construction site. Having established these very basic facts, and having received no calls at this point, I decided that I should probably go to work! As I arrived, it became apparent that this tragic incident had really grasped the attention of the media, which, as ever was a sea of speculation with islands of truth. For me it’s not a problem, because I’ve been trained to treat media reports with a degree of caution until confirmed. It’s not surprising though, when many members of the public (with limited other information) believe everything they see in the news. At the scene of the incident, and even away from the scene, response arrangements were initiated. However, the response to any emergency involves many more organisations than you typically might expect. Just as an example, each of the locations in the following sentence fall under the jurisdiction of a different organisation. The helicopter had hit a building site, debris had fallen into a variety of areas, which could have included a very busy stretch of railway, a considerable area of the road network in the area and various business premises and homes. Providing support, consistent and accurate information and a communication route between the many and varied agencies is my primary role in a situation such as this. The initial phase of an incident, the first few hours generally, are (quite rightly) dominated by the emergency services. As time progresses through, colleagues from Local Authorities, Transport providers, Government and Utility companies all have a role to play in the response, recovery and communication to the public. Whilst the investigation into this incident is ongoing it wouldn’t be right for me to comment any further than these basic details. But before the snow arrives, and as the media reports move on to other issues, I felt it appropriate to acknowledge the very wide range of organisations who work together in these situations. That, and it’s a perfect example of (what I call) the Emergency Planner’s Paradox. It is obviously a tragic incident and my sincere condolences are with the families of those who were sadly killed, but it is a real test of the planned arrangements, and I think they worked incredibly well in this instance.